Activated carbons have been found a large variety of applications in several fields, such as chromatography, medicine, gas storage and environmental protection, among others. Most of these applications requires tailored physical-chemistry properties, regarding purity, particles shape, mechanical resistance, homogeneity, surface composition, specific surface area and porosity. Because of their especial properties, activated carbons have attracted increasing attention for several years. As supports and catalysts, they have been used in several reactions both in gas and liquid phases, such as hydrogenation/dehydrogenation, oxidation/reduction, decomposition of hydrocarbons, halogenation and methanation, among others. 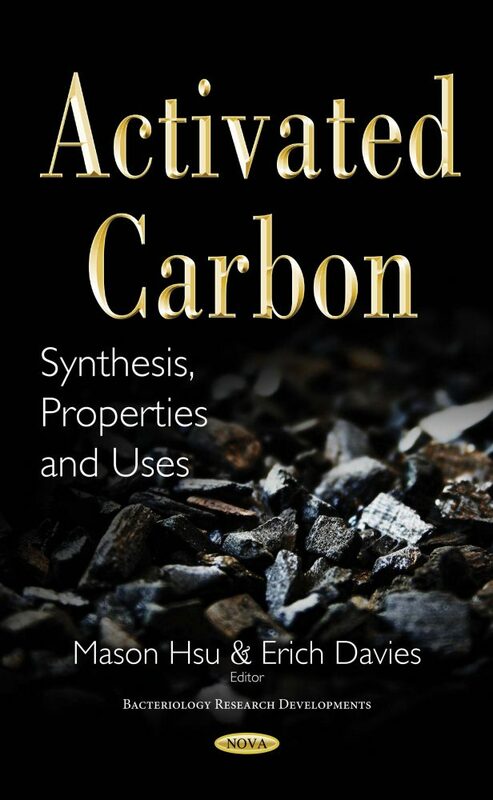 This book reviews the applications, preparation, properties synthesis, and uses of activated carbon.